Asthma is an allergic disorder characterized by spasms of the bronchi (the airway tubes); swelling of the mucus lining of the lungs; and excessive production of a thick, viscous mucus. The major concern with asthma is that it can lead to respiratory failure—the inability to breathe. WARNING: An acute asthma attack can be a medical emergency. If you are suffering from an acute attack, consult your physician or an emergency room immediately. 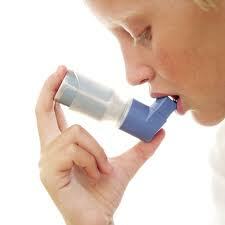 Chronic asthma is associated with recurrent shortness of breath, cough, wheezing and excessive production of mucus. Typically, asthma sufferers have laboratory signs of allergies (increased levels of eosinophils in the blood, increased serum IgE levels, and positive food and/or inhalant allergy tests). The rate of asthma in the United States is rising rapidly, especially among children. Reasons commonly cited include increased stress on the immune system due to greater chemical pollution in the air, water and food; earlier weaning and introduction of solid foods to infants; food additives; and genetic manipulation of plants, resulting in foods with greater allergenic tendencies. There are three important dietary therapies for asthma: elimination of food allergies, following a vegetarian diet and elimination of food additives. Many studies have indicated that food allergies play an important role in asthma. Adverse reactions to food may be immediate or delayed. Double-blind studies in children have shown that immediate-onset reactions are usually due to (in order of frequency) eggs, fish, shellfish, nuts and peanuts. Foods most commonly associated with delayed-onset reactions include (in order of frequency) milk, chocolate, wheat, citrus and food colorings. Elimination diets have been successful in identifying allergens and treating asthma, and are a particularly valuable diagnostic and therapeutic tool in infants. Elimination of common allergens during infancy (the first two years) has been shown to reduce allergic tendencies in high-risk children (children with a strong familial history). An even better elimination diet is one that utilizes RevitalX—a high-potency multinutrient meal-replacement formula from Natural Factors. This product was developed by Michael Lyon, MD, and is specifically engineered to be an excellent source of important nutrients to support the gastrointestinal lining and aid detoxification. It is an excellent source of a hypoallergenic vegetarian protein, GoldPeptides, along with specific nutritional, probiotic and herbal support to deal with food allergies. When used as the key component of an elimination diet, RevitalX is taken twice per day as the primary source of sustenance. RevitalX is combined with water or juice (fresh vegetable juice is preferred), or it can be used in a fruit smoothie. The RevitalX elimination diet includes one simple meal in the evening: steamed vegetables, lean chicken breast and brown rice (cooked beans, split peas or lentils along with brown rice can be used as a vegetarian alternative), or a lightly sautéed stir fry. Fresh or steamed vegetables and small amounts of fruit can be eaten if you’re hungry. A vegan diet may also be helpful for asthma sufferers. In one long-term study, elimination of all animal products (meat, fish, eggs and dairy products) provided significant improvement in 92 percent of patients. The elimination of synthetic food additives is vitally important in the control of asthma. Artificial dyes and preservatives are widely used in foods, beverages and drugs. The most common coloring agents, preservatives and other food additives have been reported to cause asthma attacks in susceptible individuals. Diets high in antioxidants such as vitamins C and E, carotenes (especially lycopene), and selenium have also been shown to improve asthma. Antioxidants are thought to provide important defenses against oxidizing agents in your body that stimulate constriction of the bronchi and increase allergic reactions. Vitamin C also appears to normalize fatty acid metabolism and reduce the inflammatory histamine production triggered by allergies. Both treated and untreated asthmatic patients have been shown to have significantly lower levels of ascorbic acid (vitamin C) in serum and white blood cells. Vitamin C is found in peppers, berries, citrus fruit, kiwis and green vegetables from the cabbage family. Wheat germ oil, nuts, seeds and grains are high in vitamin E.
Magnesium deficiency plays a major role in many cases of asthma. Magnesium deficiency makes the bronchial airways more prone to spasm. Take 150 to 250 mg three times per day. Magnesium bound to aspartate, citrate and malate is preferred to magnesium bound to oxide because of better absorption. Lung, Bronchial, and Sinus Health from Natural Factors is designed to provide key nutrients and herbal extracts for healthy airways. For example, it provides N-acetylcysteine (NAC)—a derivative of the naturally occurring amino acid cysteine. NAC directly splits the sulfur linkages of mucoproteins, thereby reducing viscosity of bronchial and lung secretions. As a result, it improves bronchial and lung function, reduces coughing and improves oxygen saturation in the blood. Adults and children older than 12 should take one tablet three to four times daily. Children ages 6 to 12 should take one tablet up to three times daily. Lung, Bronchial, and Sinus Health is not recommended for children under age 6 unless recommended by a physician. Grapeseed or pine bark extract contain flavonoids known as procyanidolic oligomers (PCOs) that have exceptional antioxidant and free radical–scavenging activity. Take 150 to 300 mg of PCOs daily if you have asthma. A great first step that I have found useful in helping asthmatics reduce their exposure to airborne allergens (such as pollen, dander and dust mites) is to remove dogs, cats, carpets, rugs, upholstered furniture and other surfaces from their house where allergens can collect. If this can’t be done entirely, then it’s important to make sure that the bedroom is as allergy-proof as possible. Encase the mattress in an allergen-proof plastic; wash sheets, blankets, pillowcases and mattress pads every week in hot water with additive- and fragrance-free detergent; consider using bedding made from Ventflex, a special hypoallergenic synthetic material; and install an air purifier. The best mechanical air purifiers are HEPA (high-efficiency particulate arresting) filters, which can be attached to central heating and air-conditioning systems.